In the early 1970’s Michael Ritchie was an up and coming filmmaker with a fairly decent list of films including, “Downhill Racer,” “Prime Cut,” “Smile,” “The Bad News Bears,” “Semi Tough,” and “The Candidate.” After “Semi-Tough” in 1977, Ritchie’s career became somewhat erratic. There were still a few minor decent works like “Fletch”, and the concert film “Divine Madness” but more and more there were depressingly bad films like “The Couch Trip”, Wild Cats”, “The Golden Child”, “Cops and Robbersons”, “The Island” and “An Almost Perfect Affair.” Sports, competition have been major themes in Ritchie’s films and if on target, well pointed satire. 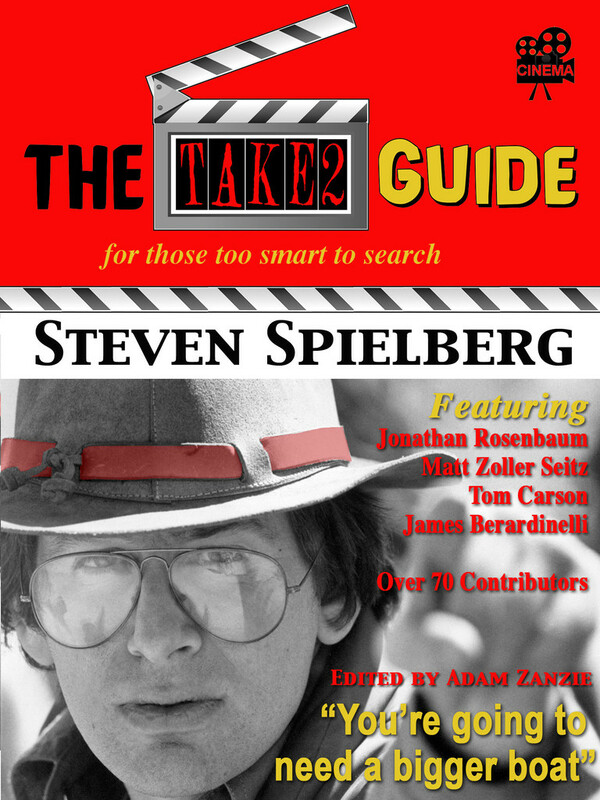 Of all his films, ‘The Candidate” is arguably his best. An on target assault on the American political system that is even more relevant today than it was over thirty-five years ago when it was first released. Marvin Lucas (Peter Boyle) is a Democratic campaign manager without a candidate to campaign for because no one in the party wants to face a sure fire defeat against popular incumbent Republican U.S. Senator Crocker Jarmon (Don Porter). That is until Marvin comes across old friend Bill McKay (Robert Redford). MacKay is a charismatic idealistic lawyer working for the poor with no interest in a political career, unlike his father John J. McKay (Melvyn Douglas), a former Governor of California. Lucas convinces young McKay that since he has no chance of winning, he can run his campaign “anyway he wants,” saying what he honestly feels to the public, spreading his own idealistic views on busing, environmental issues and welfare. Naively, McKay accepts Lucas at his word, though he still has one stipulation, there is no involvement from his father. Inexperienced, with no clear message, McKay hits the campaign trail traveling across the state, speaking at public gatherings spreading his views on the environment, gun control and other issues he feels strong about. The polls, which at first are not too bad, begin to deteriorate with the popular Jarmon gaining a larger percentage of the political pie. Embarrassed by his bad showing McKay reluctantly seeks out his father’s help when the news media interprets the older McKay’s silence as support for Jarmon. 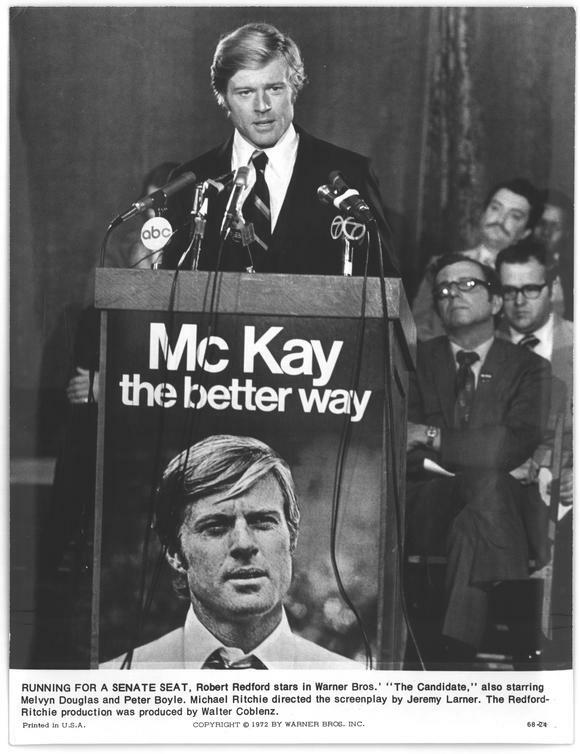 Additionally, Lucas convinces McKay to broaden his message by allowing empty slogans like “For a better way: Bill McKay” along with other vacant political rhetoric. 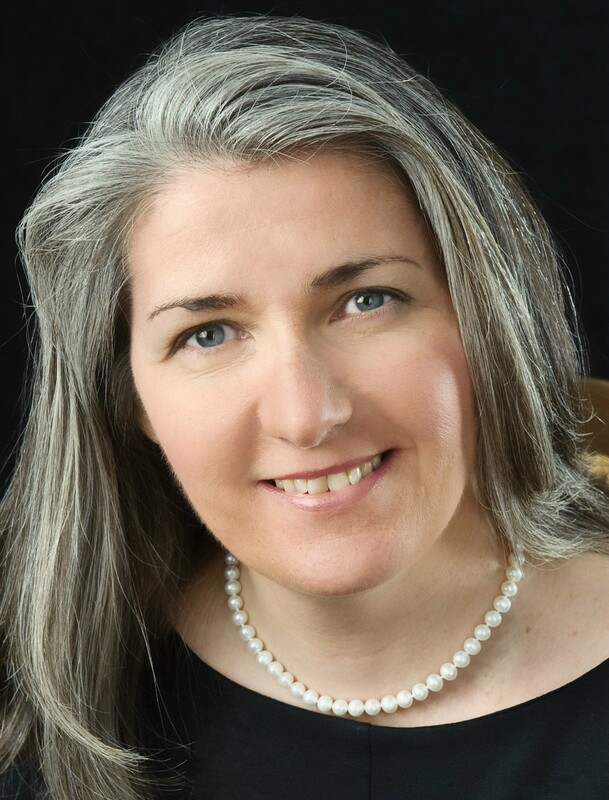 There are drab political dinners and handshaking tours; McKay even has a young woman offer up her bra she is wearing for an autograph. The new tactics work as McKay begins to gain in the polls, however, he comes to realize that he has been sucked into the political dogma he wanted no part of. His original message has more or less disappeared. Campaign Manager Lucas tells him it really does not matter, what does matter is that he is now only behind by 4 points in the polls! On Election Day McKay, once an idealistic man of change, is busy screwing a campaign staffer in a hotel room while the votes are being counted. To the surprise of all, McKay wins the election. In the final scenes, as the victory party is in progress, and the media is about to surround him, a confused uncertain McKay drags his campaign manager into a private room. McKay, uncertain, looks at Lucas and asks, “What do we do now?” The film ends right here leaving a distinct impression on the viewer that makes one wonder how often does this happens in real life. 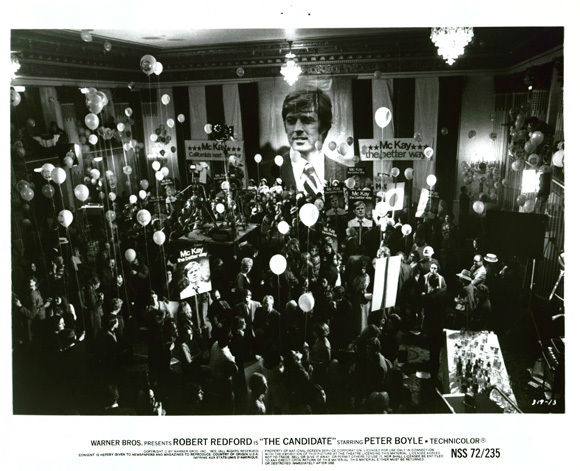 When “The Candidate” was first released, The New York Times critic, Vincent Canby, called the film “a comedy on the state of politics.” Other critics also considered the film a far out enough satirical look at the political process. Today, however, it is all too real, PAC committees, media manipulation, staged conventions, over polished candidates and the ‘you betcha’ politicians all filled with empty headed slogans and too much emphasis on their own agenda and image. Success is judged by percentage points and not a moral stance and substance of ideas. Values are lost in the political wind. The screenplay was written by Jeremy Larner who won the Academy Award that year for Best Screenplay. The film was also nominated for Best Sound. Larner’s background included being a speechwriter for Eugene McCarthy during his run for the Democratic nomination in 1968, so he knew the territory he wrote about well. Robert Redford gives one of his best performances as the idealistic Bill McKay, a character certainly inspired in parts by both John and Bobby Kennedy. JFK was assassinated only nine years earlier and Bobby three years prior to the release of the film. Also notable are Peter Boyle as campaign manager Marvin Lucas, Allan Garfield as an ad agency staffer and Melvyn Douglas as young McKay’s father and the former Governor. Look for cameo appearances by among others Natalie Wood, newscaster Howard K. Smith, politicians George McGovern, Hubert H. Humphrey, John V. Tunney and Sam Yorty. 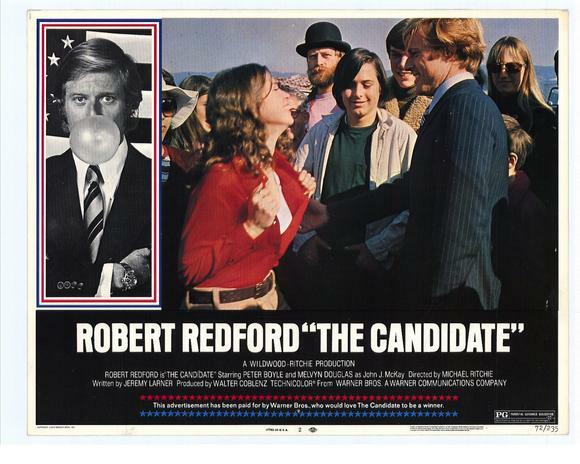 Over the years, “The Candidate” has become undeservedly a much overlooked film; however it remains a sharp look at the sometimes strange and meaningless political process that elects our leaders. Today this film should be considered mandatory viewing for all Americans during these strange political times. 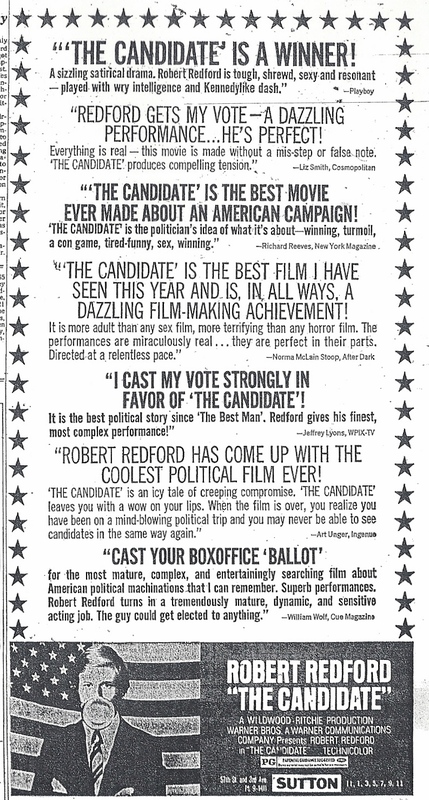 This entry was posted in 1970's, Film Reviews, Melvyn Douglas, Robert Redford and tagged Allan Garfield, Melvyn Douglas, Michael Ritchie, Natalie Wood, Peter Boyle, Robert Redford, The Candidate. 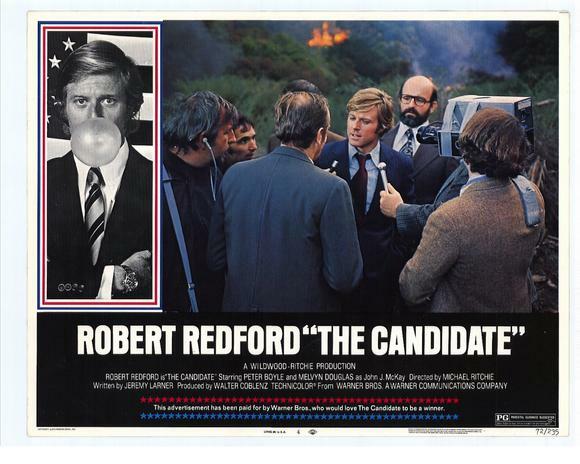 “The Candidate” could be to politics what “Network” was to TV, a satirical view filled with dark insights that evolved into our everday reality. Did not remember that Michael Ritchie directed it, somehow thought it was a Pollack film. Thanks, John, for resurrecting your post. Good point Eve comparing this film to NETWORK, both were considered far out at the time but seem to have become, as you say, our everyday reality. I’ll agree it has been unfairly overlooked, and certainly as you contend at the finish it has some topical relevance. It was made during a time when social issues and politics played a large role in the culture, and Ritchie’s film is a prime example. As always John, a terrific essay, and another trip down Memory Lane. This is a good example of the kind of film that I doubt would be made today, or if it was, it would be a small independent film. The big studios would stay away. Thanks! John, I haven’t seen THE CANDIDATE in a long time and enjoyed reading your perceptive review. 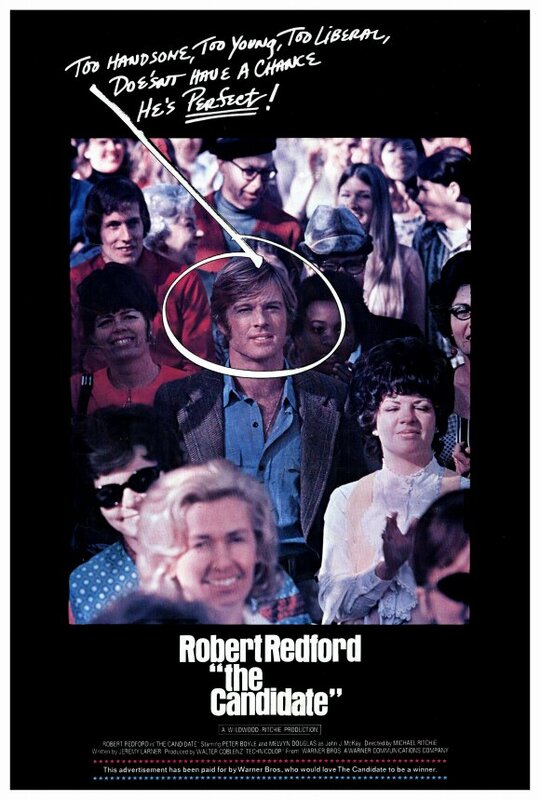 I’m not a big Redford fan, but he was at his best when played unlikable characters in this and Ritchie’s DOWNHILL RACER. I really like the latter film, which shares a similar theme with the later AMADEUS. Great review here. I just watched it for the first time now in 2011. The devastating scene is the hallway scene at the end, but also an earlier scene which makes clear that McKay has finally lost the ability to communicate with his wife. What a pessimistic view. The process has broken him. But it was still a hell of a battle and maybe…you never know…event the greats were deeply flawed. Thanks, does make one wonder if anyone really knows what they are doing or are they just are blowing hot air.